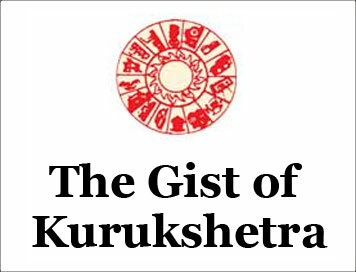 (The Gist of Kurukshetra) MODERN TECHNOLOGY IN IMPLEMENTATION OF RURAL DEVELOPMENT PLANS [DECEMBER-2018] | IAS EXAM PORTAL - India's Largest Community for UPSC Exam Aspirants. India is the nation of villages and the soul of India lives in its villages. In true sense, without the progress and prosperity of the villages, the country’s prosperity and well-being is inconceivable. Realizing this, the Government of India has been taking several initiatives for the all-round development of rural areas and the prosperity of the village folk. Progress in the past has been taking place at a glacial pace. More than seven decades have passed after getting independence from the British rule, but the villages are still going through the process of development. The root cause of this malady is that government and the political parties who have governed the country for a long period did not pay that much attention to this aspects as should have been done. It is a matter of great satisfaction that the main focus of the present government, led by the Prime Minister Shri Narendra Modi, has been on the prosperity of the villages, the poor and the farmer and the results of these efforts as expected are noticeable. The Ministry of Rural Development has been making sincere efforts to bring prosperity and well-being in the villages through its programmes and schemes viz. Pradhan Mantri Gram Sadak Yojana (PNGSY), Pradhan Mantri Awas Yojana Gramin (PMAY-G), Mahatma Gandhi National Rural Employment Guarantee Act(MGNREGA), National Rural Livelihood Mission (NRLM), National Socal Assistance program (NSAP), Sansad Adarsh Gram Yojana (SAGY), Shyam Prasad Mukherjee Rurban Mission and Mission and Mission Antyodaya. In recent years, the schemes related to rural development have been restricted and their implementation has also been made more effective. Madhya Pradesh, Uttar Pradesh, West Bengal, Odisha, Chhattisgarh and Rajasthan has been commendable. The use of modern technology and new technology based MIS-Awas Soft, mobile-based application-Awas app and space technology are being used on a large-scale for monitoring purpose. All transfers of funds to the beneficiaries are done on the basis of Electronic Funds Transfer order (FTO). Fund transfer is not permitted in any other form. The entire work of this scheme i.e from the selection of beneficiaries to distribution of funds, verification of progress of housing construction work till the release of funds is being done through MIS-AwaasSoft, This has made it easier to monitor the progress of housing construction, showing geo-referenced photographs with the help of Android-based Awas app launched in April,2016, at different stages of construction of houses, photographs containing geo-tag and time taken to verify the progress of work. These has reduced can also be seen on GE0-Coordinated Bhuvan. ISRO has developed this software application through which 2-D/ 3-D images of the Earth’s surface can be seen. OFF-line module of this application has also been launched to register geotagged photographs of houses in areas where there is no network connection. The use of SMS has increased manifold following the introduction of electronic funds transfer to the beneficiaries through the Awas-Soft-PFMS platform. Rural Housing Knowledge Network (RHKN) has been started in collaboration with IIT Delhi with the objective to prepare multilingual web-portal in the public sector and to prepare comprehensive nationwide compilation of information related to business houses, institutions and practices associated with affordable and sustainable solutions of rural housing. Rural connectivity is an important component of socio-economic development of villagers. It offers many facilities like education, health and marketing. The development of rural road network in the country has not been uniform. In India, when the era of planned development started in the year 1951, the road connectivity in the villages was negligible because only 20% of the villages had all weather roads. During the Fifth Five Year Plan, in the year Plan in the year 1974, the development of rural roads was made a part of the “Minimum Needs Program” Due to this some progress in the development of rural roads was noticed. Under the various programs of Central and State Governments, pertaining to employment generation and poverty alleviation, rural roads were laid without the aid of proper design and engineering. Consequently, the geometrical design of rural roads remained poor and these roads could not last for long. Gram Sadak Yojana, 1,68,394 out of 178184 eligible habitations have been connected by road till 19th November, 2018 which is 94.5 percent of the target. During the tenure of the present government. The speed of road constructions in the year 2013-14 was 75 km per day, which was 75 km per day, which increased to 134 kilometres per day in 2017-18. Under world Bank-assisted PMGSY-Rural Road Project-ii, emphasis has been laid on adopting innovative and simplified methods of maintenance of rural roads. Under this, a mobile application Aarambh has been developed which helps in collecting necessary data for preparation of inventory of roads, GIS based mapping for survey of road surface, cost estimation and annual road maintenance plans and monitoring work. Modern Web-based on-line management, monitoring and accounting system, OMMAS has been set up to effectively monitor the entire program, bring in more efficiency in implementation and increase responsibility and transparency in the system. Indian Roads Congress are not available. All states have been advised under 100 km long road on experimental basis, using cold mix technology in the constructions of upper surface of the roads. The schemes of providing at least 100 days of unskilled manual labour to each family in the form of guaranteed employment in a financial year according to the demand in rural areas is well-known as Mahatma Gandhi National Rural Employment Guarantee Act- MGNREGA. It is an important program to ensure inclusive growth of rural India. Under this, the emphasis is on strengthening the livelihood base of the rural poor and the creation of productive assets of set quality and sustainable nature. This has increased agriculture productivity and income of rural poor and the creation of productive assets of set quality and sustainable nature. This has increased agriculture productivity and income of rural households. A budgetary allocation of Rs. 55,000 crore, largest ever, has been provided for MGNREGA in the financial year 2018-19. An exclusive initiative named Geo-MGNREGA was introduced in the financial year 2016-17 to strengthen the scheme and also to underpin transparency and monitoring mechanism in implementation. Under this initiative, space technology is being used for geo-tagging of all assets created through MGNREGA. In this scheme, 3.93 crore assets have been created so far. Out of these, 2.42 crore assets were created so far. Out of these, 2.42 crore assets were created during the tenure of the present government. Under this, special attention is being given on creation of permanent assets, natural resource management, water conservation works and livelihood growth. Geo-tagging of 3.31 crore MGNREGA assets has been made available to the public domain. Large scale capacity building and training is being given in order to promote natural resources management planning process using geo-informatics. Secure (software for Estimate Calculation Using Rural Rates for Employment) is an online application, specially designed and developed to prepare online estimates of MGNREGA works. Estimate received through this are also accorded online technical and administrative clearances. In the financial year 2017-18, an Android-based mobile application Jan-MGNREGA was launched which has a large-scale feedback mechanism for the public. This has ensured greater transparency in the implementation of the program. Ministry of Rural Development has started the National Electronic Fund Management System (NEFMS) from Jan 01, 2016 to further simplify the fund flow system. Funds are being transferred directly to beneficiaries in bank/post office accounts through this system in 24 States and one Union territory. In the Year 2018-19 so far, the payment of 99 percent wages has been done directly in the account of benefit transfer (DBT) system whereas during the financial year 2013-14, only 37 percent payments could have been issued to MGNREGA workers and about 10 crore workers have been linked to the AADHAR. 6.95 crore workers have been linked to the AADHAR based payments system.